Professor Sarah Ciurysek has a new article and artist pages included in a British anthology on photography published by Liverpool University Press. “Home/Land: Women, Citizenship, Photographies” demonstrates how women have used photographic practices to find places for themselves as citizens, denizens, exiles or guests, within or beyond the nation as currently conceived, and, in so doing, how they actively produce new and different forms of identity, community and belonging. “Home/Land” is an extensive compendium of texts and images, combining scholarly, creative and critical writing on photography with new work in photography. The contributions to the compendium range from academic essays on fine art and documentary photographies to photo-essays, community-based and pedagogical photographic projects, personal testimonies, creative writing, activist interventions and accounts of participatory action research using photography. 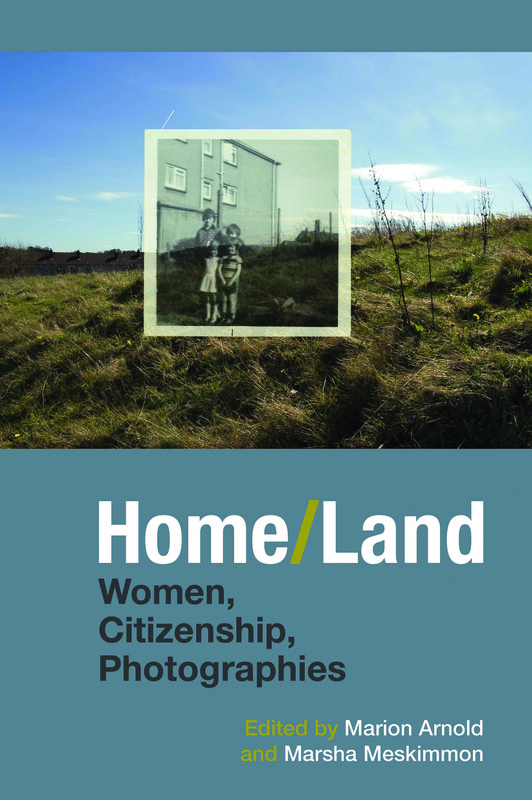 Bringing together texts and images produced by an international group of feminist scholars, activists, artists and educators, “Home/Land” is global in its reach, exploring women’s lives in Britain and other European nations, the United States, Canada, the Middle East, South Africa, Asia and Australia.